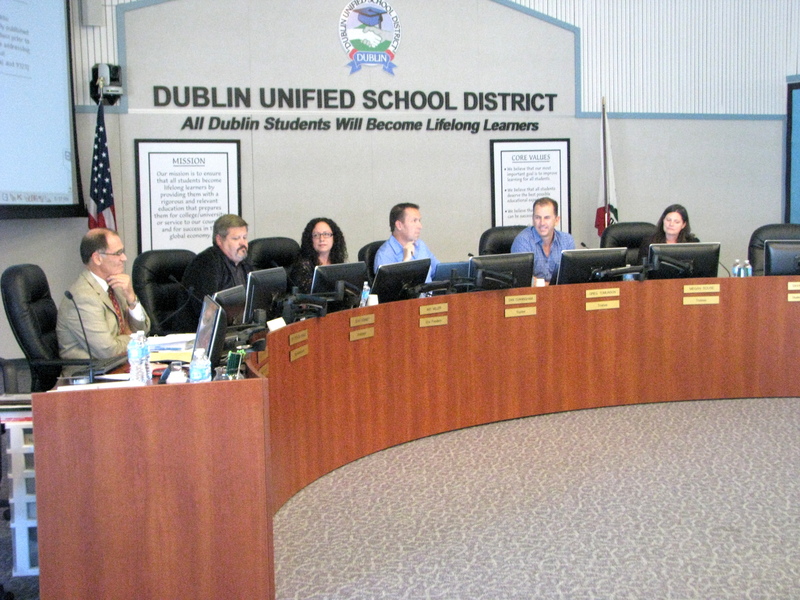 (DUSD Press Release) The Dublin Unified School District Board of Trustees unanimously approved plans to deal with the district’s expanding student population at Tuesday night’s regular meeting, affirming the recommendations made by the District Optimization Committee (DOC). The District’s strategy includes short-term planning for the 2015-16 and 2016-17 school years as well as a three-year plan that spans the 2017-18 through 2019-20 school years. There are no boundary changes or lottery in either plan. The plan also includes the completion of a Board-approved District-Wide Facilities Master Plan to meet the district’s future facilities needs and an annual review of the actions taken. The District Optimization Committee, made up of administrators, staff, parents and representatives from labor associations and the City of Dublin, began meeting in December, received significant community input and brought forward the recommendations that the Board approved Tuesday night.